I'll start with the design patents angle. You can also go directly to the antitrust and copyright sections. Then I read about the range of choices and the price points, and they were very iPhone-like, too. Another iPhone characteristic: hardware and software are made by the same company. As I follow the Apple v. Samsung design patent case, I was obviously thinking to myself: is Apple going to sue them? And meanwhile at least one website, FastCo.Design, has raised the question in an article that quotes design patent expert Professor Sarah Burstein saying it wouldn't be impossible to imagine Apple at least sending Google a letter. Professor Burstein notes that "[t]he official test is it has to look the same to an ordinary observer" as opposed to a requirement for a "precise line-by-line copy to infringe." I personally wouldn't dare to predict how a jury would decide. Firstly one would have to know exactly which design patent(s) Apple would pick from its portfolio to assert. A design patent on a large button below the screen wouldn't work at all (as you can see on the photo above); others, however, might very well stand a chance of passing the "ordinary observer" test. Two and a half years ago, Apple and Google withdrew all patent infringement lawsuits pending against each other but didn't extend a license to each other (cross-licenses practically never include design patents anyway). Google even has kept on seeking the invalidation of certain Apple patents in different jurisdictions. I guess the appetite between the two parties for comprehensive patent litigation each other is nil. I can't see why that would have changed since the spring 2014 second-class settlement. But they could duke it out over design rights without escalation of the throwing-in-the-kitchen-sink kind. 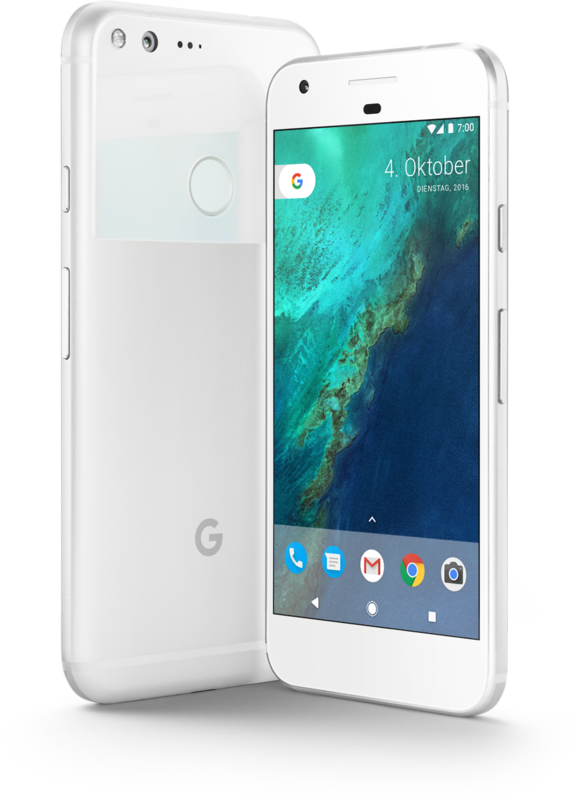 Apple could just wait and see how the Pixel is received. There are reports of demand already having exceeded Google's expectations, though some planned shortage may sometimes also be part of the marketing plan. Even if true, Google is probably still not going to move quantities that would have a huge impact on Apple's business. Design rights could still be asserted later, but obviously the story to present to the judge and the jury would be weaker if Apple elected to sit by idly for some time. Also, in my observation Apple really views design rights as a matter of principle. About five years ago it even shut down a small iPad lookalike in Spain. That was, by the way, the first time I fundamentally disagreed with Apple on something (I thought the criminal case that resulted from Apple's complaint to customs authorities was over the top, and it was fortunately dismissed later). Unfortunately, this issue is not before the Supreme Court, but as a former NoSoftwarePatents campaigner and as an app developer I have a huge problem with design patents covering software in the form of non-physical screen designs (and layouts and elements thereof). Such patents should not exist. I believe copyright and trademark law would provide just the right level of protection in that area. As the Dusseldorf Regional Court noted more than five years ago (when explaining why a decision came down for Apple and against Samsung), Apple's strength is "minimalistic design." It should be obvious to everyone that minimalistic design must be harder to protect with design patents because otherwise such patents would become overbroad. A design patent on a carpet design with a huge number of design elements is narrow; a design patent on a round button below a rectangular screen is overbroad. Breadth also has to do with functional elements: the alternative to rounded corners is damage to people's pockets. Here, again, it's important to make a distinction between Apple's non-legal merits as a design trendsetter and the problematic legal implications of the level of (over)protection Apple has been seeking. Taste per se isn't patentable. Finally, even if something falls within the scope of patent-eligible subject matter, is not too broad to be valid, and an infringement is proven, then remedies must still be reasonable, not draconian. There's the eBay standard for injunctions and there are various principles governing damages determinations, including in many contexts (such as some in which I have always supported Apple) the smallest saleable unit approach. Apple has benefited from those standards on numerous occasions. Fortunately, the position with which it went into the recent Supreme Court hearing was already much more moderate than what it had told the district court and the Federal Circuit. Even prior to the Apple v. Samsung Supreme Court opinion (which will probably come down in December or January), the position taken by the DoJ and some of what the justices said at the hearing have made it crystal clear that the appropriate "article of manufacture" will have to be determined in future design patent cases if someone seeks a disgorgement of otherwise-unapportioned profits. In a dispute with Google itself, as opposed to Samsung as a Google proxy, Apple would not be able to benefit from a certain statistically-proven bias of U.S. juries against foreign companies. It would be Silicon Valley Giant v. Silicon Valley Giant. Like a duel on the 101. A disgorgement of infringer's profits would be further complicated by Google, with most of its business not being in hardware, being able to present to the jury all sorts of overhead and development costs as being related to the Pixel project. A key lesson from Apple v. Samsung is that Apple suing someone for allegedly making iPhone (or iPad) lookalikes can actually have a positive marketing effect on the defendant, at least in some places. Far be it from me to impute such cynicism to Google, but I wouldn't be surprised if maybe the decision-makers who approved the Pixel project in this form, in addition to seeking legal advice on how to have the most defensible position under the circumstances, thought that a design lawsuit by Apple would be the best thing that could happen to them because it would make even more people aware of certain parallels between the Pixel and the iPhone. That, however, would probably hurt other Android device makers more than Apple. I have no idea what Apple is doing, but should Apple take legal action in the U.S. or elsewhere, I could understand it. Still I wouldn't support software design patents, overbroad design patents, or draconian and devastating remedies, ever. The Commission mentions Google's "anti-fragmentation" efforts. If you talk to any Android app developer out there (and I've talked to a number as you might imagine), they'll tell you about how difficult fragmentation makes it to develop and test Android apps. Ever better tools become available all the time. But it remains a huge issue. On iOS (where I'll release my first app) some things are a lot easier just because there is no fragmentation (just a very limited range of different screen sizes and aspect ratios). What the Commission says in public about its concerns related to "anti-fragmentation" sounds more like a concern over anti-fragmentation serving as a pretext for curbing competition. To the extent that this really is the Commission's focus, I'm fine. But I need to know more about what the remedies (or Google's commitments to settle the case) would be and what impact they'd have on developers like me. I'd like the Commission to make it very clear that some anti-fragmentation efforts are very positive while others may be reasonably viewed as illegal restrictions on competition. I'd probably be a lot less concerned if the ones apparently funding the official complainants and sometimes acting as complainants themselves were Android device makers as opposed to certain enemies of Google (by the way, Apple does not seem to have any hand in this, at least to the best of my knowledge). At the same time, let's be realistic: it would really be hard for an officially-licensed Android device maker and Google partner to complain. I could imagine, however, that some of them may have told the Commission about certain problems they face when the Commission sent them questionnaires and interviewed them. In a different competition context in which I participated in a conference call with Commission officials and a software company, I noticed that a company was about ten times clearer and more accusatory than in public. The EU Android case is about the search engine and about what others call an "essential facility" type of theory: device makers need Android, Google controls it and then imposes restrictions that protect its monopoly. It's not about Google competing with Android device makers. Not yet. Psychologically, I don't believe the Pixel phone does anything to alleviate the Commission's concerns. It won't become an additional official concern anytime soon, but when the game master is a player himself, all sorts of issues come up. The big problem in sports-related competition law is that sports bodies set the rules (including the commercial rules) and usually also act as major commercial operators in the same field, competing with the clubs (and often unfairly). Google's Nexus phones didn't give rise to that concern; they were a showcase effort and Google partnered with a different manufacturer every year. But with the Pixel out there, the Android ecosystem looks more like a FIFA/UEFA type of setup than it used to (after Google divested Motorola Mobility's device business to Lenovo). I believe Google should, in light of the Pixel, give more flexibility to other Android device makers than before (while still ensuring that fragmentation won't make life even harder for developers like me). Finally, what might Oracle (which just filed an appeal against Judge Alsup's latest ruling) do? Copyrightability would have to be determined once again. My position on this one is well-known and I don't think it should be an issue, but there's no doubt Google would fight over it again and the findings from the other case wouldn't be law of the case in a new proceeding. Also, if the new case didn't involve patents, it would be appealable to the Ninth Circuit, which wouldn't be formally bound to however the Federal Circuit interpreted its law. Even another Supreme Court appeal over API copyrightability could happen (last time certiorari was denied, but that could also have been due to the stage of proceedings). Fair use would come up again, too. Oracle knows by now that juries easily get confused about open source issues in this context, which favors alleged infringers. Oracle would have to become a GPL enforcer and demand that Google release certain parts of Android on a GPL basis. The legal question would then be, for example, whether Google's key proprietary Android apps are derivative works of (even if only indirectly) OpenJDK. In order to get real leverage, Oracle would probably have to reach the level at which even Google's apps, or at least some other proprietary extensions of Android, would be demeed to fall under the copyleft rule. I believe Oracle will do something sooner or later about Android Nougat, but my feeling is it will at least want to get the next Federal Circuit decision in the first Oracle v. Google case. Within a few days of each other, the Supreme Court of the United States and the United States Court of Appeals for the Federal Circuit had Apple v. Samsung on their agenda. One week ago, the Federal Circuit issued a ruling that was more than surprising: a majority of the full court overruled the three panel judges, including the Chief Judge, with respect to the second California Apple v. Samsung case to reinstate a $119 million verdict for Apple. On Tuesday, the Supreme Court held its hearing on the question of design patent damages (transcript). Was it just a coincidence that the Federal Circuit made a decision on an Apple petition for a rehearing about eight months after the original decision and just days before the design patents hearing in the top U.S. court? It may very well have been. But when there are already other oddities (such as the decision not to invite further briefing from the parties and hold a rehearing), it's not impossible that there is a hidden message or agenda. The Federal Circuit decision certainly gives Apple leverage. Limited leverage, though: the relatively most valuable one of the three patents on which Apple had prevailed at the spring 2014 trial has expired and the most iconic one, slide-to-unlock, is about as valuable in the age of Touch ID and comparable technologies as an ISDN or floppy disk patent. The Supreme Court hearing, by contrast, went fairly well for Samsung--to the extent that one can say at this procedural stage. While the Federal Circuit had said in May 2015 that Samsung was liable to the extent of its total profit on any phones deemed to infringe any Apple design patent(s) and that arguments against that holding would have to be directed to Congress, Apple itself softened its stance after the U.S. federal government had warned against absurd results: Apple told the Supreme Court that the "article of manufacture" with respect to which an unapportioned disgorgement of profits was warranted might be less than an entire smartphone. Chief Justice Roberts: "It seems to me that the design is applied to the exterior case of the phone. It's not applied to the --all the chips and wires, so why [...] So there should - there shouldn't be profits awarded based on the entire price of the phone." Justice Breyer (sympathetically paraphrasing an Internet Association brief): "you know, wallpaper, you get the whole thing. A Rolls Royce thing on the hood? No, no, no. You don't get all the profit from the car." In light of those statements, I would not advise patent trolls to acquire broad and trivial design patents at high prices right now. The Federal Circuit opinion on disgorgement may have encouraged some organizations to do that, but the Supreme Court decision will almost certainly be a lot more balanced. The big question mark at the hearing was how to solve the problem (of totally unreasonable design patent damages due to the application of the law of the spoon to modern-day smartphones or entire cars or airplanes). What rule would work? "My preference, if --if I were just making another sensible rule, is we'd have market studies to see how the --the extent to which the design affected the consumer, and then the jury would have something to do that. But that's apportionment, which runs headlong into the statute." In the case of a design patent-infringing cupholder in a car, the impact on purchase decisions would be zero, or at least negligible. In the case of a rug or a wallpaper, design would be a huge part of the value. And when it comes to a smartphone, it's somewhere in between (not in the middle, but somewhere in between). That kind of standard, however, would either require new legislation or an interpretation of § 289 under which the phrase "profit made from the infringement" would result in a causal-nexus requirement, which in effect would lead to apportionment despite the statute containing the world "total." Samsung's counsel proposed focusing on "article of manufacture," which is also what certain amici had advocated in their briefs, and the patent specifications ("the article of manufacture to which a design has been applied is the part or portion of the product as sold that incorporates or embodies the subject matter of the patent"). Justice Kennedy said that as juror he wouldn't know what to do with an instruction like that, but there's lots of things that are hard for juries to resolve, such as highly technical infringement questions. It's hard to make a prediction here but I think it's a relatively likely outcome that the Supreme Court will ultimately support Samsung's proposed approach of looking at the cost of the different components. It would be the lesser one of two "evils" the statute could lead to. The position of the courts below, which was an "entire product" or "largest saleable unit" kind of rule, could drive companies into bankruptcy. The net effect of basing damages for a design of the casing of a smartphone on the cost of the exterior parts covered by the design patent could be that design patent holders feel they are undercompensated. The result could be substantially below what Justice Breyer would like to be the test if he could make new law; but the Supreme Court has to interpret the existing statute. Unless someone comes up with a creative new idea or the Supreme Court somewhat surprisingly goes down the "causal nexus" avenue, it will be a situation of "tertium non datur." It will be a choice between the devastating and absurd "entire product" approach or Samsung's (and also Google's, Facebook's etc.) "smallest saleable unit" rule. The latter would not drive companies out of business, which is a strong argument in its favor, and not the only one. The reason why I would be less concerned about some potential undercompensation than about totally outrageous and absurd overcompensation is that design patent law is not the only kind of legal protection for design-oriented companies like Apple. Certain designs are protected by copyright. And designs that drive demand are protectable under trademark law including "trade dress," a type of intellectual property right Apple also asserted in this case (but on that one the Federal Circuit disagreed with it). Chief Justice Roberts: "Mr. Waxman, we're spending an awful lot of time on an issue about what was raised below, what wasn't raised below, what was raised below, what wasn't raised. Maybe it's a good time to turn to Justice Breyer's question." Justice Sotomayor: "Please don't go to the --to the record." It's impossible to form an opinion from the outside on whether the record contains enough evidence to support Samsung's position, but in this case the evidentiary body as a whole must amount to (literally) truckloads of material and Samsung's reply brief gives some examples on its pages 20-22. It's good news that the Supreme Court is inclined to focus on the rule rather than on the record. Further below, the record will play a greater role. In the very short term, the Tuesday hearing could clearly have gone better for Apple. Over time, however, even Apple will benefit from case law that makes overcompensation less likely. Otherwise Apple itself could find itself exposed to various attempts to siphon off its profits. Only a few days prior to the long-awaited Supreme Court hearing on design patent damages (Tuesday, October 11), there's some surprise #appsung news. For the second time this year, Apple's world-class legal team achieved a turnaround that any litigator would be proud of for the rest of his life. In January, the Federal Circuit finally granted Apple an injunction against certain Samsung devices. While useless in practical terms, Apple managed to shift the goalposts in its favor even thought he hearing hadn't gone well for it. Then, a month later, a three-judge Federal Circuit panel threw out Apple's second California case against Samsung, but now the full court (11 judges) overturned the panel with an 8-3 majority decision (PDF), thereby reinstating Apple's $119 million (roughly 5% of what it originally sought) spring 2014 verdict. Two surprise turnarounds within nine months of each other are stunning. But this is a dispute between companies, not the legal equivalent of the Olympic Games. So what is this good for? The three patents are the "quick links" patent (which expired earlier this year), the slide-to-unlock patent (which even several Samsung devices at issue in this case weren't accused of infringing and which has lost relevance in the age of Touch ID), and the autocomplete patent, which never appeared to be a high-priority patent-in-suit in this case. At this stage (who knows what new information will surface over time) there's no reason to assume that any Samsung device will have to be modified (beyond what has already been done) as a result of Apple's two Federal Circuit wins. This litigation is now about money (and reputation). The Federal Circuit has remanded the case to California for a determination on willfulness. This could result in willfulness enhancements (triple damages). It's possible that this means more money for Apple but I doubt there will be much impact, if any. Willfulness has an objective and a subjective dimension. The objective dimension appears hard to establish, given that a Federal Circuit panel (even though overruled later) found Apple had no case. However, Apple might seek supplemental damages for the roughly two years between the cutoff date for the spring 2014 trial and the expiration of the "quick links" patent (which amounted for the bulk of the damages award, so it's the only one worth thinking about in this context). There would likely be an argument over whether or not Samsung continued to "infringe." Maybe I overlooked something. Or maybe someone else did. Apple's rehearing petition had been pending for more than half a year and I had already started wondering why there was silence on the docket, and then the Federal Circuit rendered an en banc opinion instead of first granting the petition, then getting some more briefing, holding a rehearing, and finally deciding. As at least one of the dissents notes, this is unusual. What's also unusual is that the eight judges who were not on the panel (the three on the panel stayed firm and wrote their dissenting opinions) had to actually disagree with the panel on several issues in order to arrive at this complete reversal of fortunes with respect to Apple's offensive case. The primary reason I had been initially (before things started taking unusually long) skeptical about Apple's petition for rehearing was that I thought a unanimous panel decision by a panel that was not an outlier -- in fact, it was pretty representative of the composition of the court as a whole, with frequently defendant-friendly Chief Judge Prost on one side of the spectrum and previously Apple-friendy Circuit Judge Reyna on the other end -- was less likely to be overruled than an outlier position or a 2-1 majority ruling. While there are differences between the approaches of Federal Circuit judges, I wouldn't have thought that eight non-panel judges would totally agree that the three panel judges got everything (except the part about Samsung's offensive counterclaims) wrong. This is just a highly unusual discrepancy. The combination of all of this is strange, but there really isn't anything there that would give rise to conspiracy theories like Bill Clinton's tarmac meeting with the Attorney General. What one could imagine (and I'm not saying this is something I necessarily believe to be the case, but it would be plausible) is that somehow the eight non-panel judges' agreement was made easier by some circuit judges wanting to settle accounts with, or weaken, the Chief Judge. Previously, Chief Judge Rader was somewhere between the Federal Circuit mainstream and the "radical" pro-right-holder wing. Chief Judge Prost isn't always defendant-friendly but certainly in a completely different part of the spectrum of positions. It could be that various Federal Circuit judges feel she doesn't really represent them. She's not their boss in a strict sense anyway, but chief judges often get to speak for their court and it could be that there is a disconnect between her and some old-school patent radicals. It's clear that the three panel judges phrased their dissents (which I like very much) with the objective to encourage, and provide ammunition for, a further appeal. Dissenting opinions always contain statements that can be viewed as invitations for an appeal but in this case the indications are unusually clear. I would be disappointed if Samsung gave up, but I also want to be realistic: a further appeal here would be harder than last time. Psychologically, the Supreme Court might just not have an appetite for yet another #appsung case. But what makes this here a significant challenge for Samsung's lawyers (which are at the same level as their colleagues representing Apple) is that it won't be easy to set the right priorities. It's not just about where the en banc might be demeed to have made mistakes. Before the Supreme Court looks at the merits, it evaluates whether the issues presented warrant certiorari. And to achieve that, Samsung will also want to get broadbased support from amici curiae, as it did in the design patent case. The Holy Grail is an issue, or set of issues, that the Supreme Court will be willing to look at, that various stakeholders will encourage the Supreme Court to rule on, and where the Supreme Court will likely reverse the appellate opinion. The dissenting judges point out that a full-bench review is not meant to just overrule a panel because of merely another opinion on an issue. It takes more than that. And they believe the court would have benefited from a rehearing (instead of handing down a written decision right away). The standard for a full court overruling an appellate panel is a potential issue to be reviewed here. I just don't know how attractive an issue that is for the Supreme Court and for potential amici. The fact that a decision came down without another hearing appears to me (unless there's some very interesting precedent that I don't know) to be something that wouldn't likely get traction, but even if it did, it simply wouldn't help: Samsung's lawyers would just be banging their head against an eight-judge wall then, to no avail. "[T]he majority lowers the bar for nonobviousness by refusing to take account of the trivial nature of the two claimed inventions. With respect to the '721 patent, the slide to unlock feature was known in the prior art (Neonode) and the only innovation is an image associated with the sliding gesture from fixed starting to ending points. [...] With respect to the '172 patent, the autocorrect feature was known in the prior art (Robinson), and the only innovation is displaying contemporaneously the text to be autocorrected. [...] Such text displays have long been known in the prior art (though not specifically in connection with autocorrect display). Treating such minimal advances over the prior art as nonobvious is contrary to KSR, where the Supreme Court confirmed that the obviousness doctrine is designed to ensure that “the results of ordinary innovation are not the subject of exclusive rights under the patent laws." I could easily picture some great amici siding with Samsung on obviousness and it might be reasonably interesting to the Supreme Court. But it would not help Samsung with respect to where most of the money is in this case: the "quick links" patent. Samsung could, of course, raise any number of issues. But it would be an economically undesirable outcome for Samsung if the petition was granted with respect to obviousness and rejected with respect to the "quick links" patent. "The majority asserts that, in light of the specification, a program that is 'structurally separate,' without more, satisfies the “‘separate’ requirement.' [...] We did not so cabin the word 'separate' in our Motorola construction. Because no two program routines may physically occupy the same memory at the same time (i.e., any two separate program routines are, by definition, separate in storage), the majority’s interpretation effectively and erroneously reads 'separate' out of our construction. Relatedly, the majority also fails to give effect to the requirement under our construction that the routine is a server routine, not any piece of code. That is significant because we relied in Motorola on the plain meaning of 'server,' which entailed a client-server relationship." If Samsung's attorneys found a way to raise this kind of issue in a general, certworthy form by presenting a question that the Supreme Court may very well decide to review, then that would seem the most promising approach to me based on what I know today, only about 24 hours after finding out about the Federal Circuit decision. There should be a cert petition. I think it would have a very positive effect (not thinking specifically of this case but with a view to other patent litigation) if it was granted. And in that case, I think the panel decision should be reinstated. But now Samsung's lawyers have to design a strategy, which was much clearer to see in the design patents context than it is here.